Atlus has published an update for Etrian Odyssey Nexus, which launches for Nintendo 3DS on February 5. 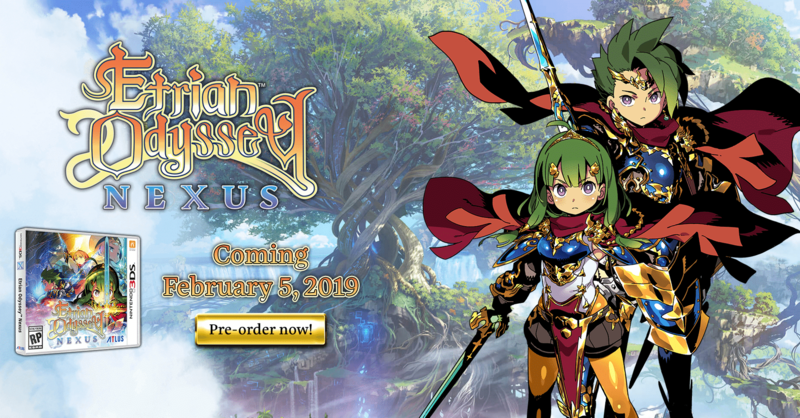 As part of the update, we are proud to announce the full official websitefor Etrian Odyssey Nexus has launched! Inside, you will find more details regarding playable classes, important characters, the systems in Etrian Odyssey Nexus that we touch on in the newest trailer.